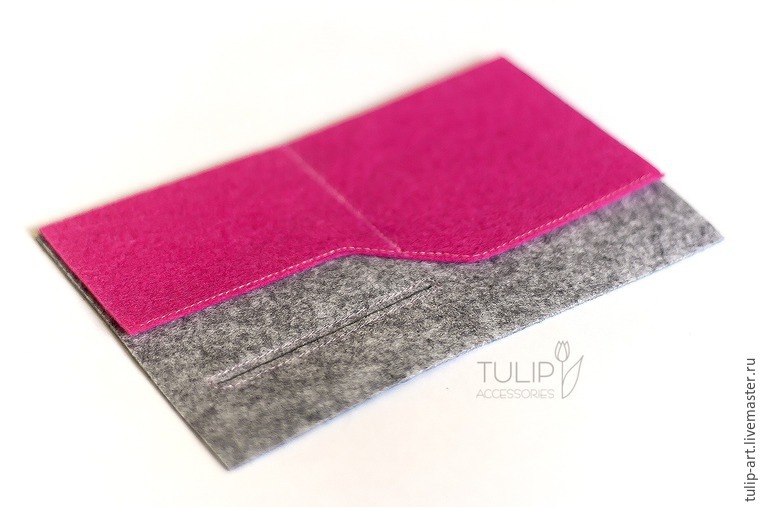 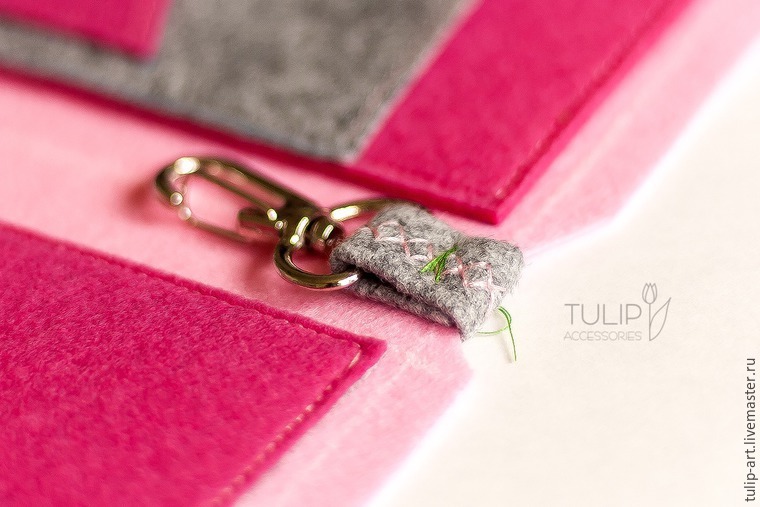 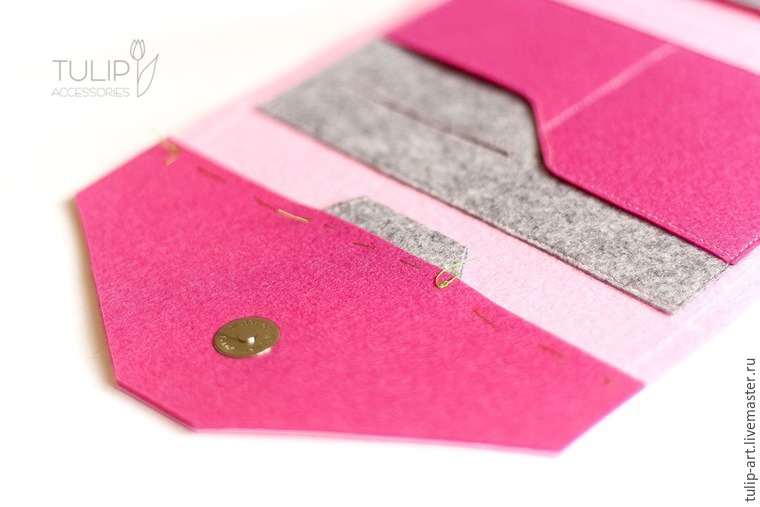 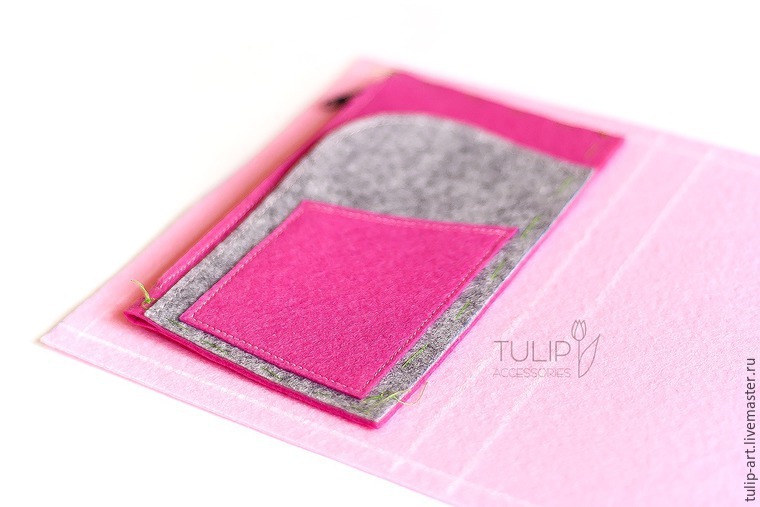 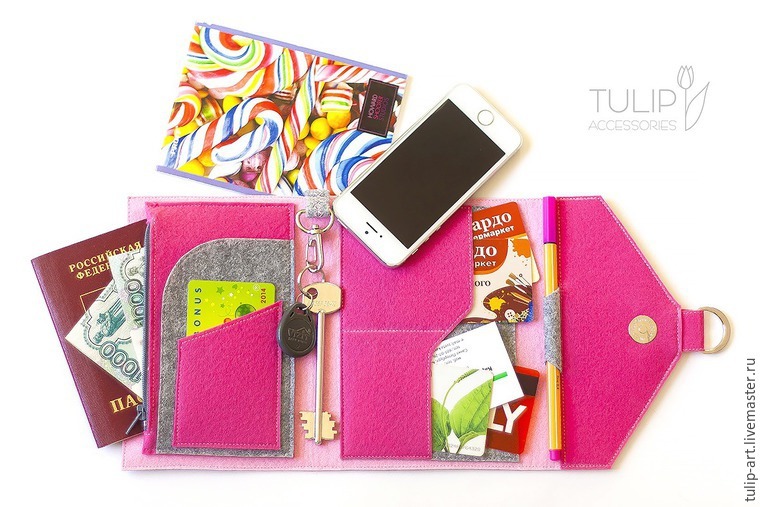 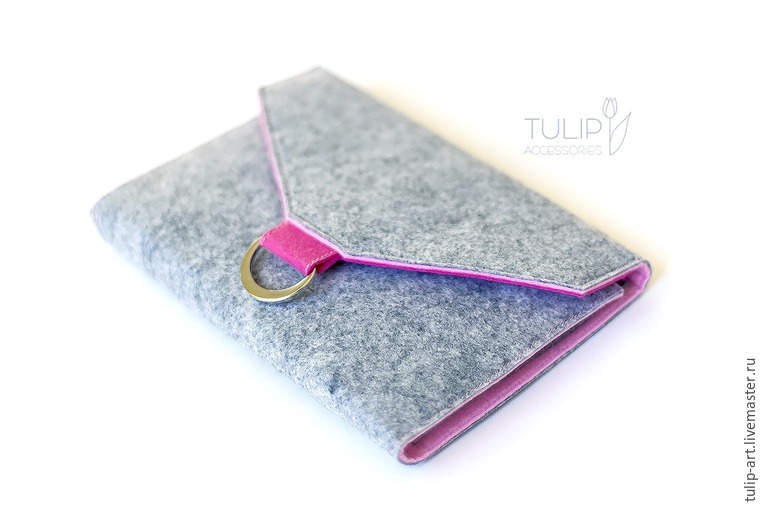 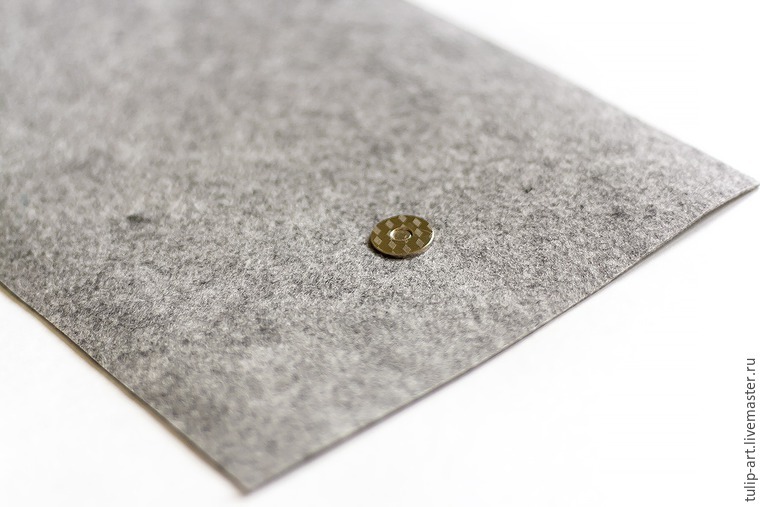 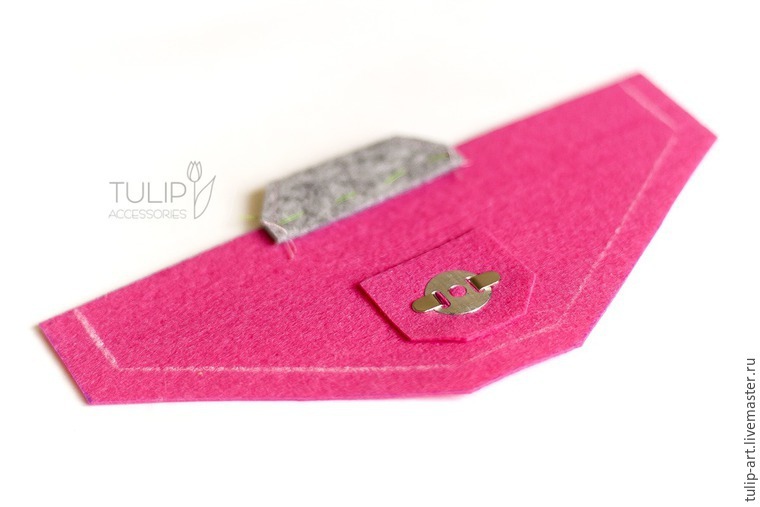 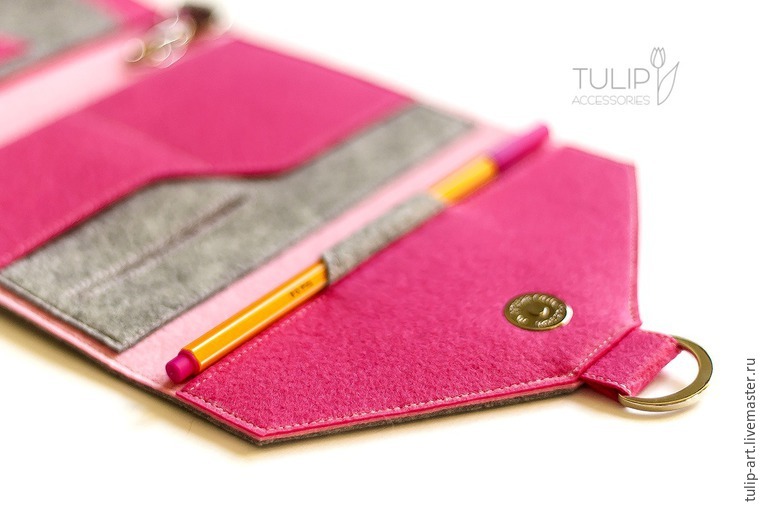 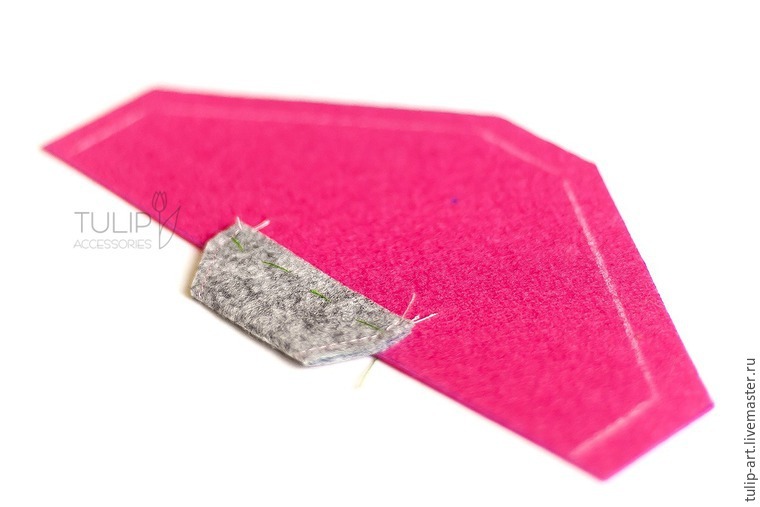 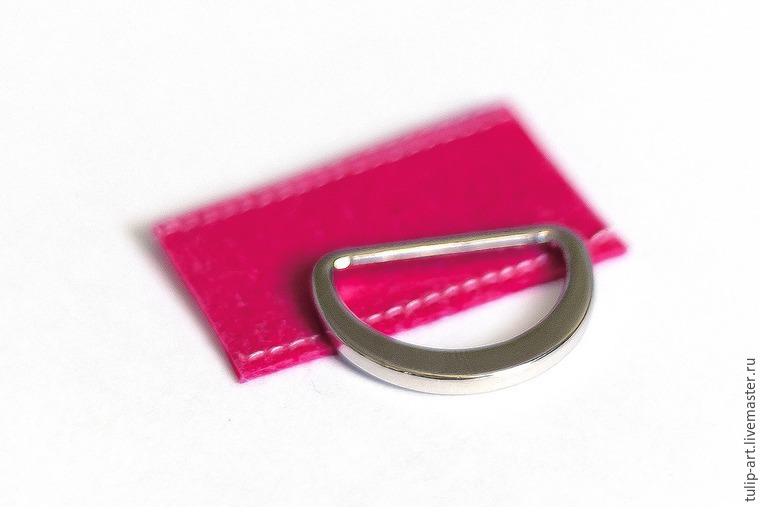 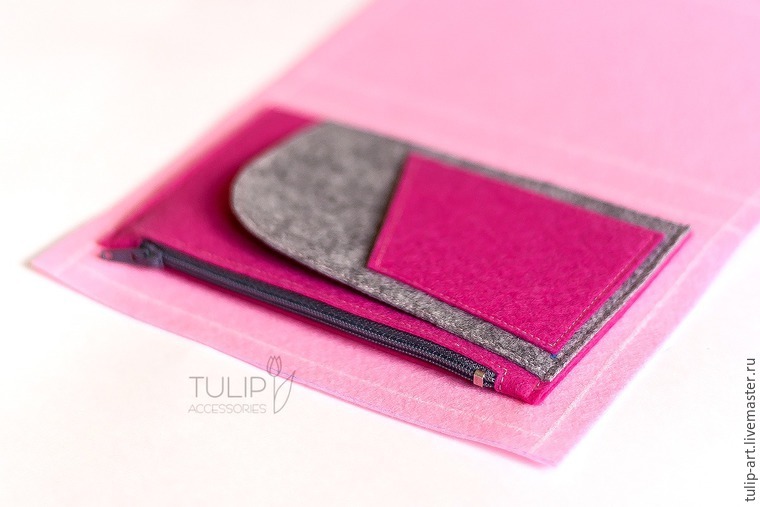 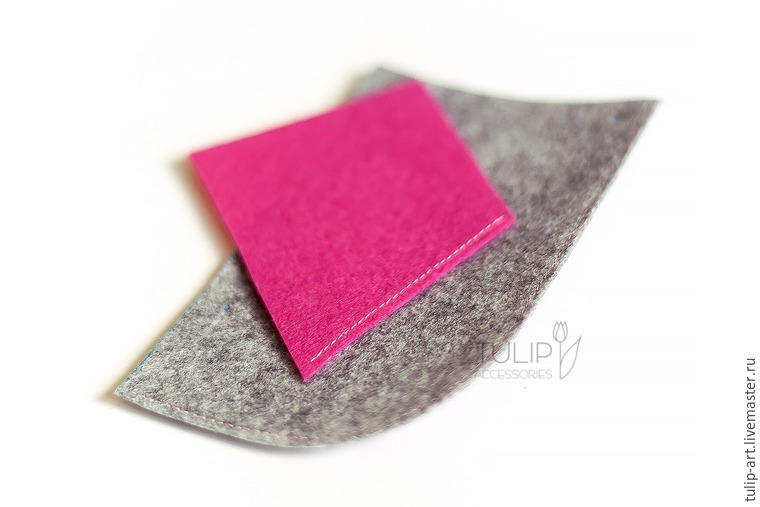 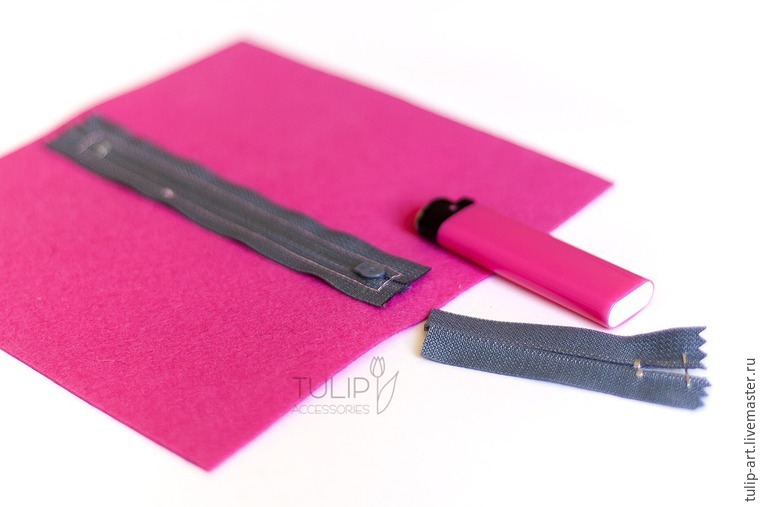 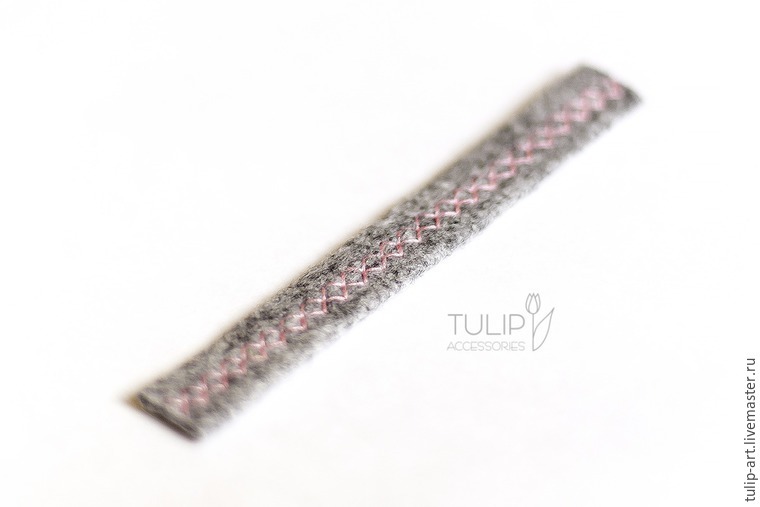 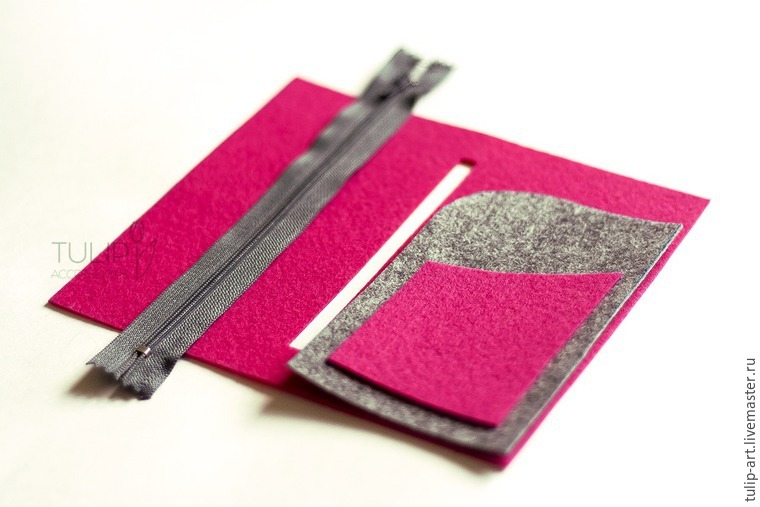 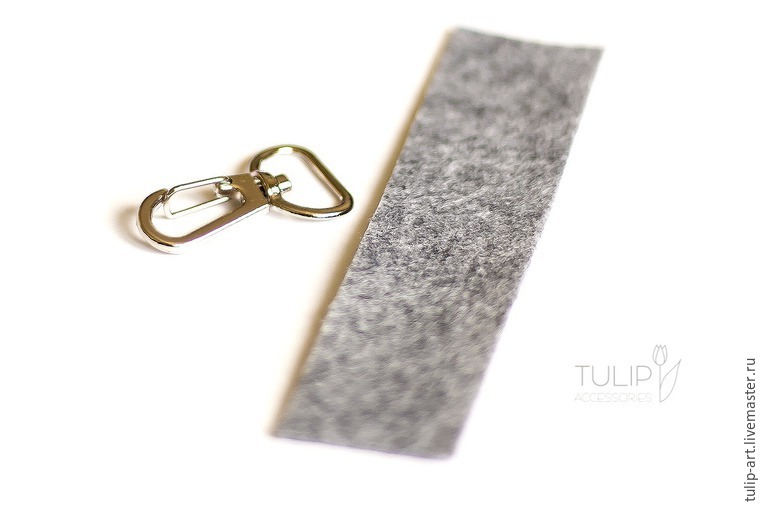 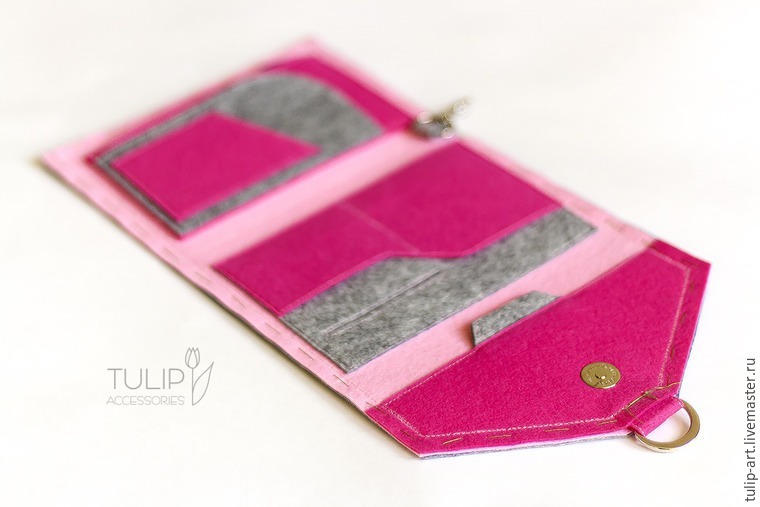 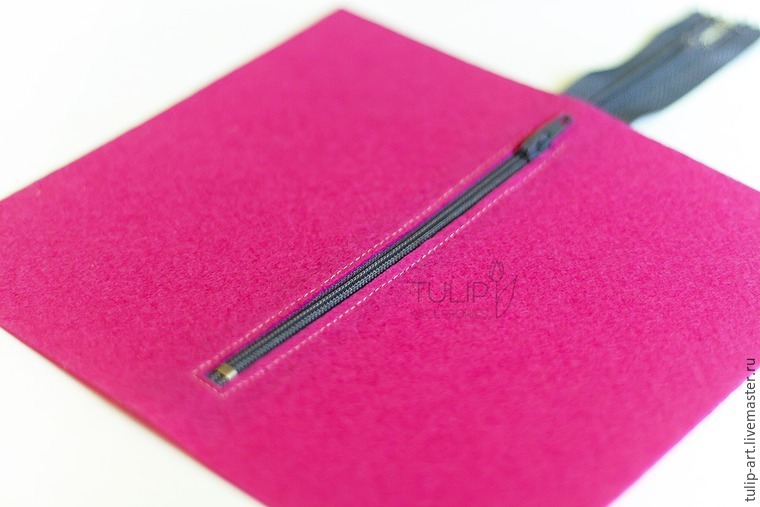 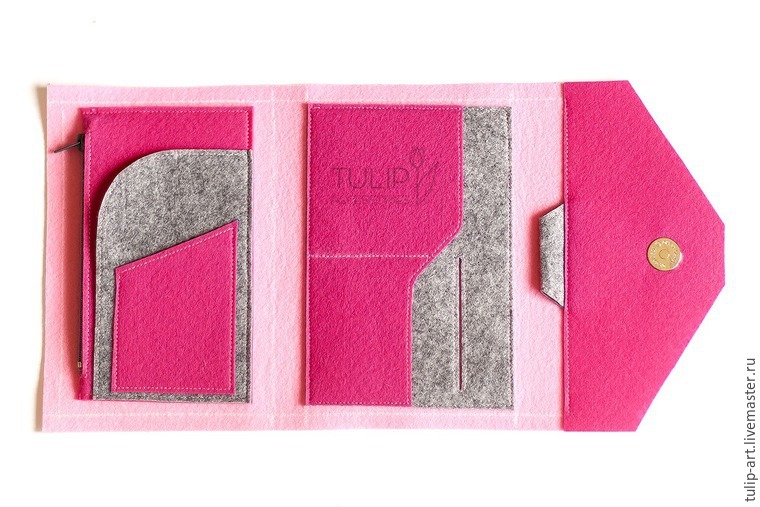 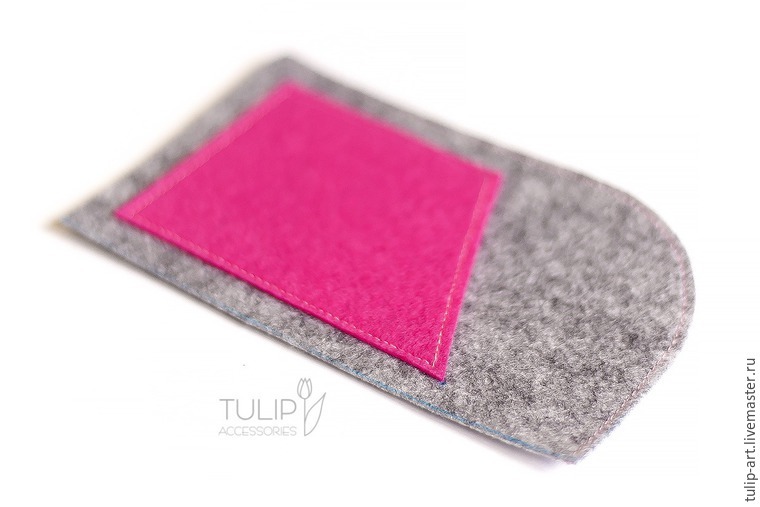 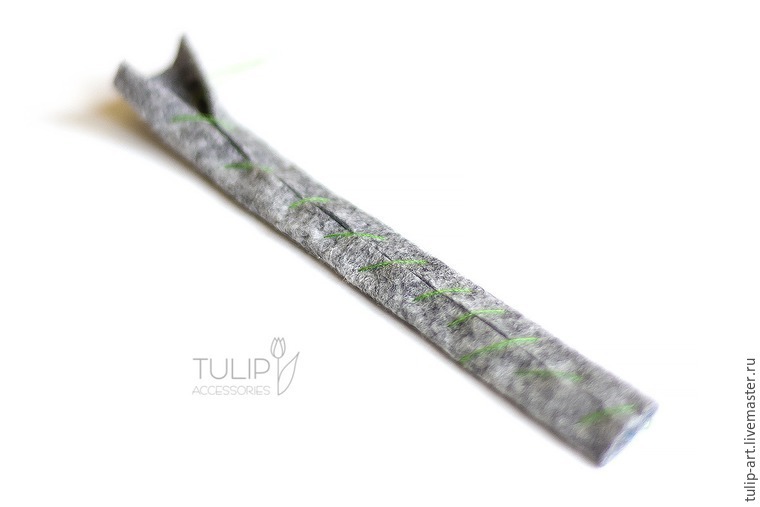 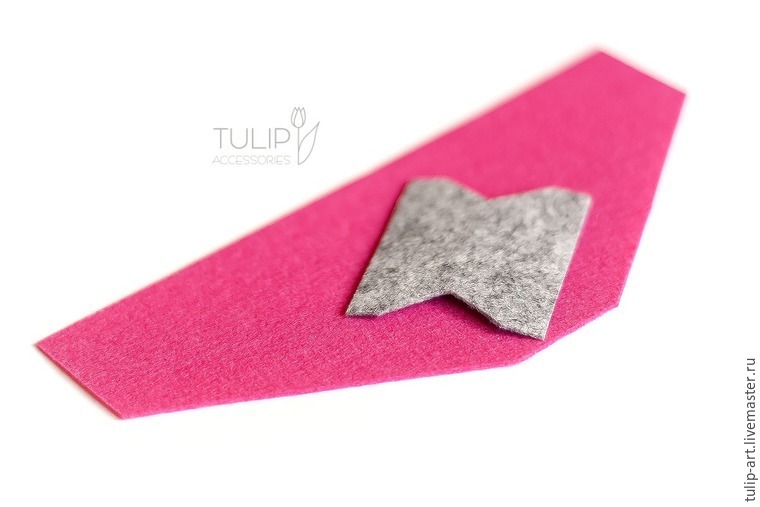 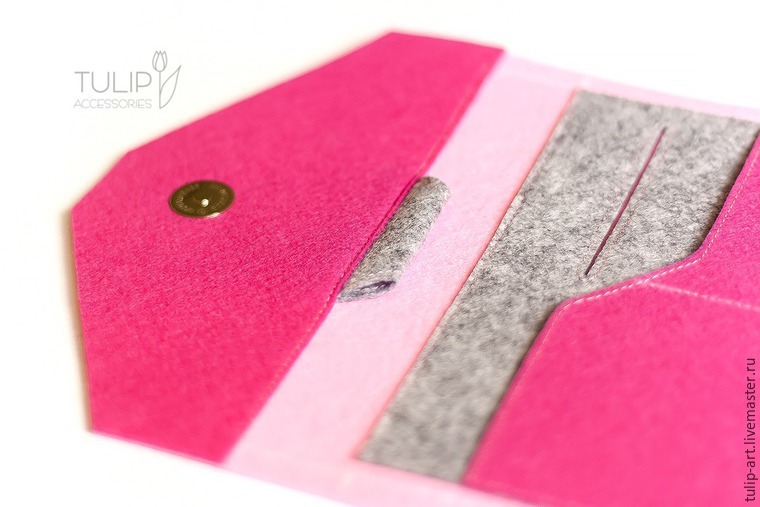 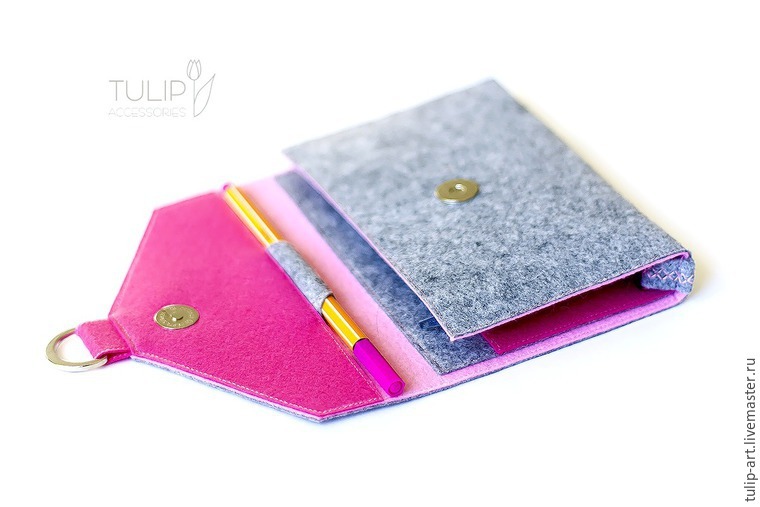 In order to make such a holder, we need 1-1.2 mm thick felt of three different colors. 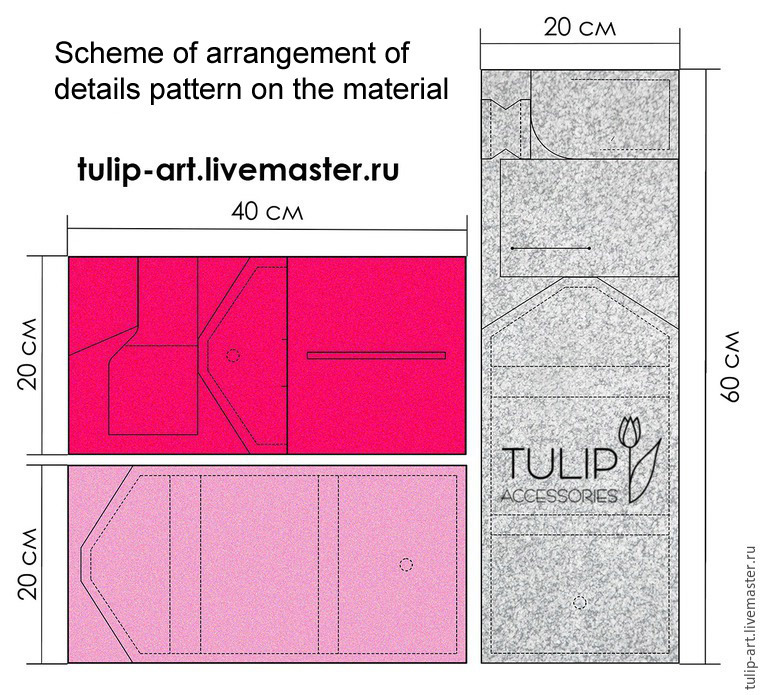 All items, except for the main large, we need in the quantity of 1 pc. 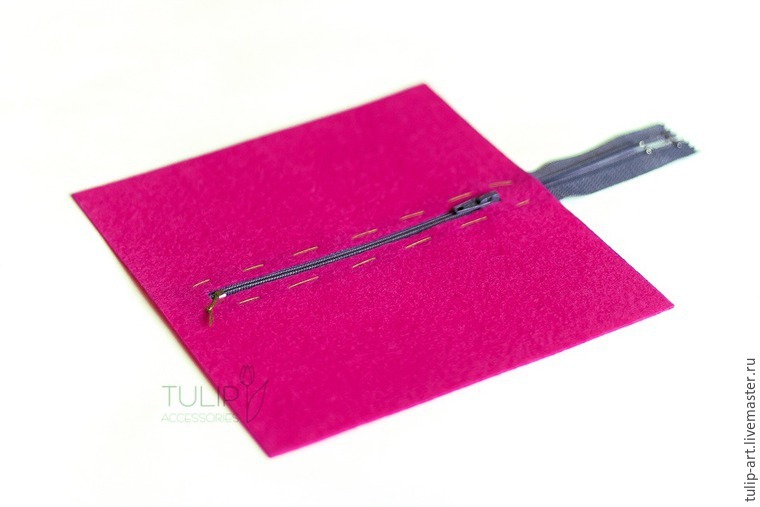 Details of the base Holder - 2 pcs. 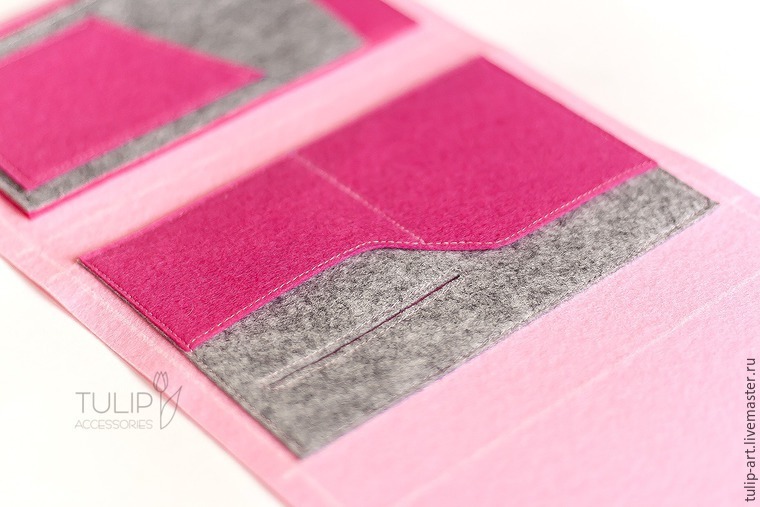 To cut to get comfortable and economical, I prepared a version of the details on the layout of the circuit felt all the necessary nuances. 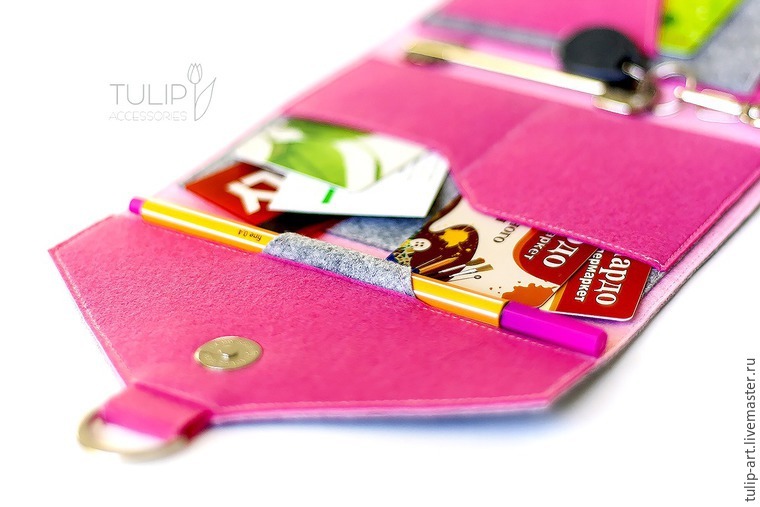 Pattern printed at the right scale, with the cutting of all do not forget to move the dotted markup washable marker or chalk Holder for future details. 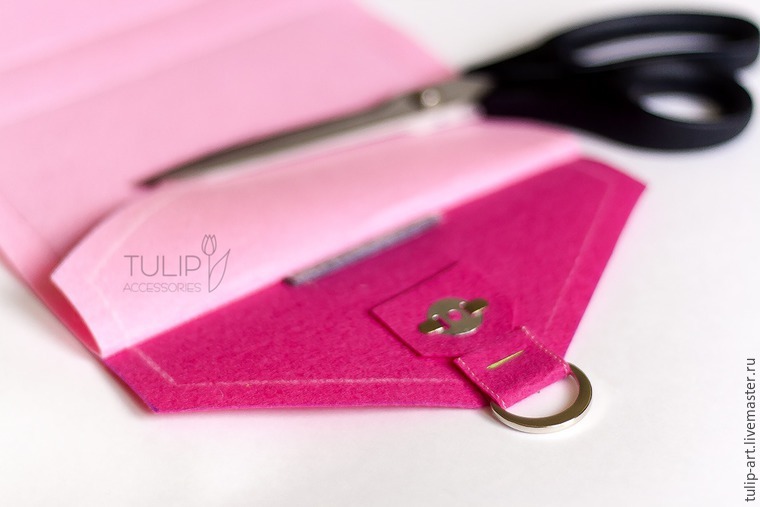 I cut out all the details, we will prepare the zipper and metal accessories - any lock, which you like zipper of 15-20 cm, carbine, half ring. 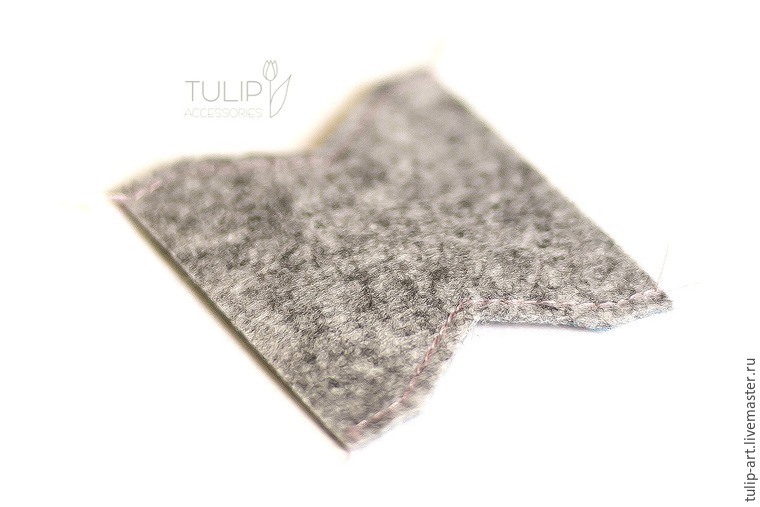 From the remnants of felt cut out a small strip of felt and are preparing a carbine. 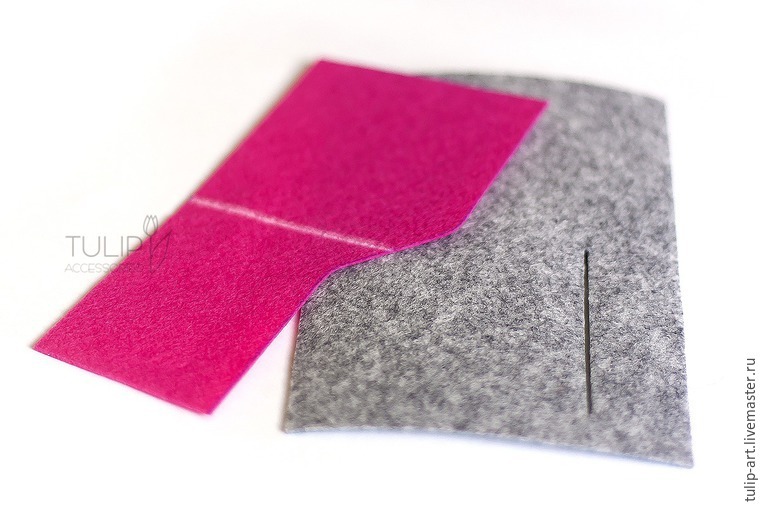 Now connect the gray body panel with pink.